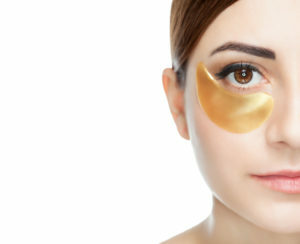 What’s The Difference Between Brow Lift And Eyelid Lift? With so many plastic surgeries out there, it can sometimes feel like you’re going to a buffet. And although it can sometimes seem overwhelming to choose from things like fillers, Botox, lifts, and other procedures, it’s important to know what they’re used for and when they’re worth considering. As two popular procedures that we offer here at Associated Plastic Surgeons, brow lifts and eyelid lifts (blepharoplasty) are often confused with each other. If you aren’t sure which procedure is right for you, contact our Associate Plastic Surgeons office and schedule an appointment with our staff. Let’s take a brief look at these two procedures to help distinguish between the two. As you age, gravity can have a real impact on your skin— especially on your face. If you have noticed that your eyebrows and the skin around your eyebrows and forehead have lost elasticity, then you may be a good candidate for a brow lift. Here at our office, we offer two types of brow lift surgeries. Classic Lift: During this traditional type of brow lift surgery, we will make an incision behind the hairline and remove underlying tissue, remove or alter the forehead muscles, remove excess skin, and then lift the eyebrows to give you a more youthful appearance. Endoscopic Lift: During an endoscopic lift, a tiny camera (endoscope) is inserted through several small incisions along the hairline. The endoscope will help your cosmetic surgeon visualize the detailed work that is being done during the lift. Unlike a brow lift which focuses on the eyebrows, and eyelid lift is a surgical procedure that is done to help patients get rid of excess fat and skin around both the upper and lower eyelids. As one of the most common surgical procedures in Long Island, our patients notice a more youthful, refreshed appearance without having to deal with puffy bags under their eyes. If you are interested in learning more about these procedures, schedule your consultation at our Huntington office today and call (631) 423-1000.